convenient for strolling in Kamikochi. Your luggage will be stored at hotel even before check-in. from the hotel is outstanding in Kamikochi. Welcome to Taisyoike HotelRight in front of the bus stop! Starting point for trekking in Kamikochi. 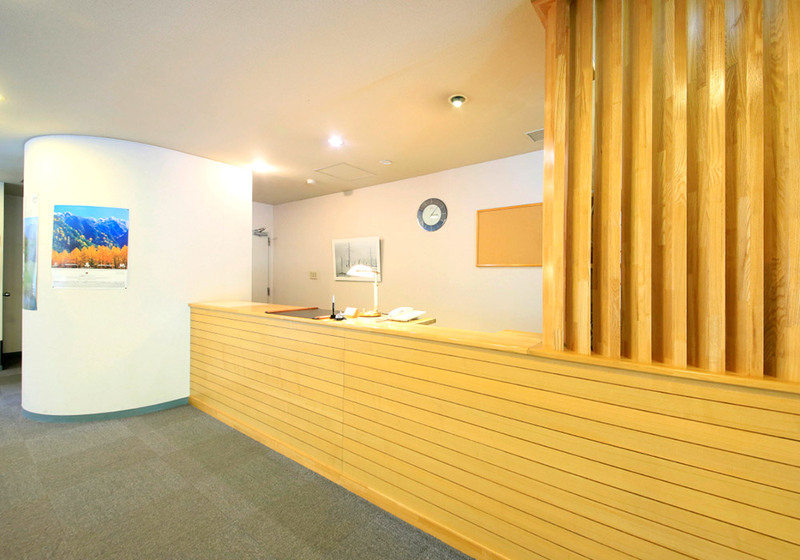 Located right in front of the bus stop and in a good location: a 60 minute walk or 10 minute by bus to Kappa Bridge, convenient for strolling in Kamikochi. Pass through the Kama tunnel to be welcomed by the breathtaking scenery, then proceed to the shore of Taisho Pond to find the hotel. Please feel free to contact us if you are not sure how to get to the hotel. 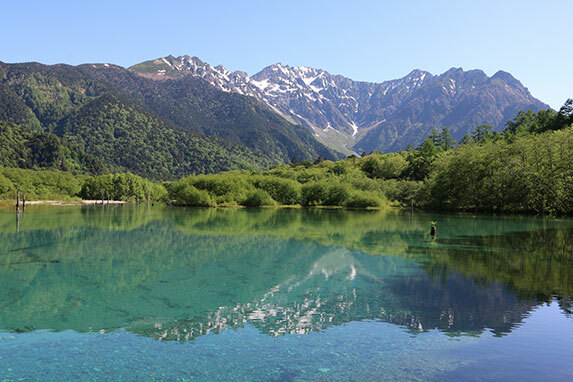 In the daytime, the specular reflection of Taisho Pond and the great nature of Kamikochi. At night, a starry sky in a darker surrounding. You can enjoy the magnificent scenery from inside and outside the hotel. 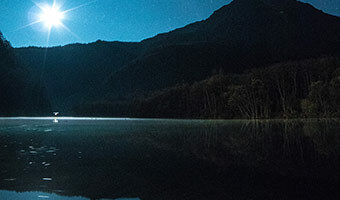 In the right conditions, the night sky may be reflected on the surface of the Pond. 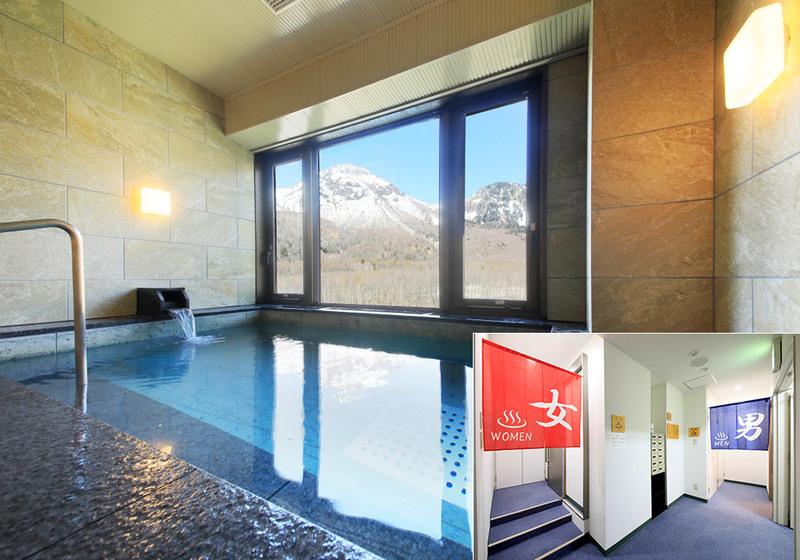 Four types of guest rooms available at this hotel surrounded by the rich nature of Kamikochi. 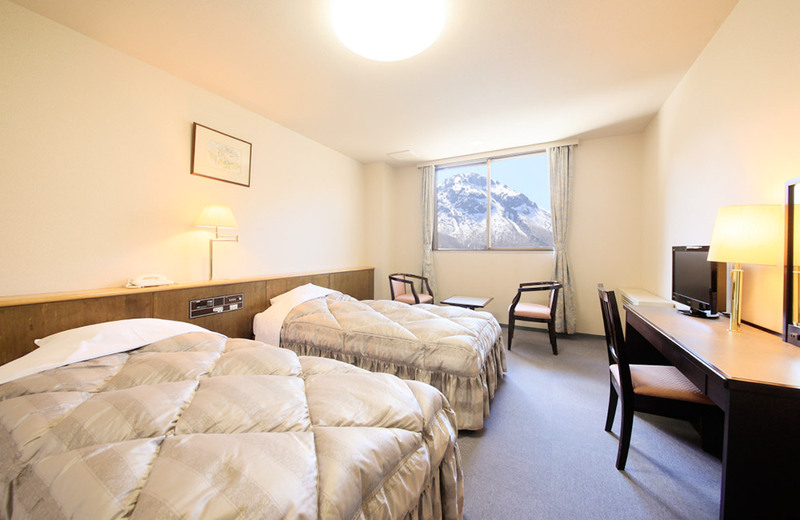 Air conditioning and wireless Wi-Fi available throughout the hotel and a few rooms with the view of Taisho Pond and Mt.Yakedake. 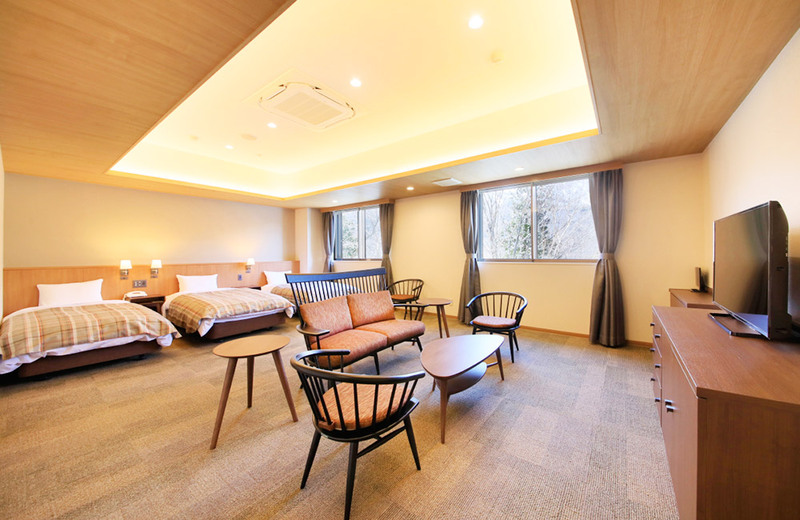 Western-style rooms facing Taisho Pond have been renovated in March 2019. The widest room of the hotel, on the 3rd floor facing Taisho Pond. It can accommodate 2 to 5 people. Extra beds will be provided for 4th guest and more. Renovated in March 2019! 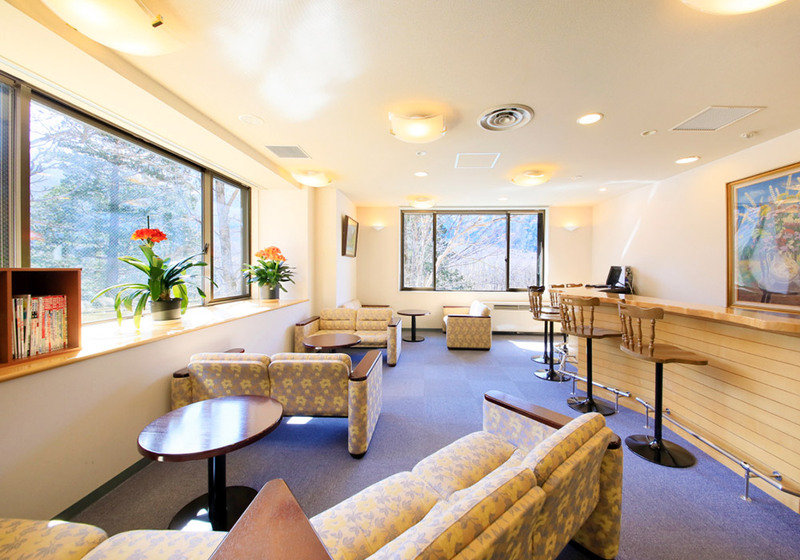 Rooms also on the 3rd floor facing Taisho Pond. It can accommodate up to 3 people. 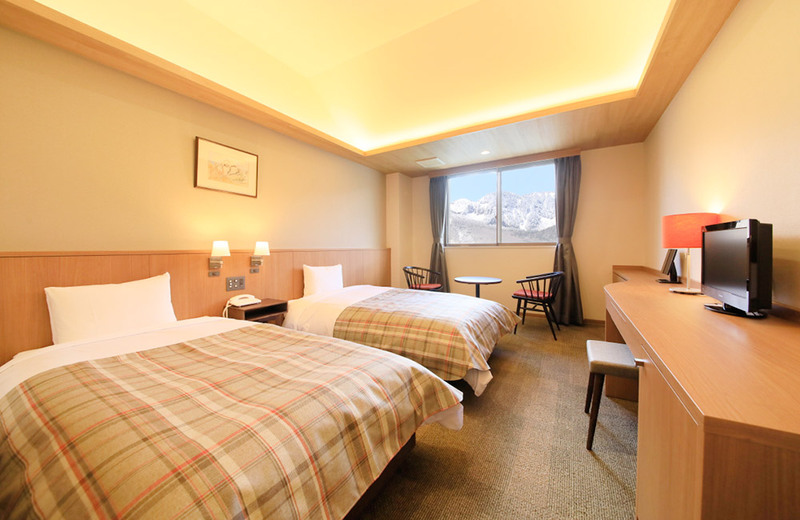 Rooms are either on the Taisho Pond side or the mountain side (room category unselectable * mountain side【3rd floor】) The picture is one example of the room on the Taisho Pond side. Rooms on the 1st floor, on the Taisho Pond side. You can loosen your body and feel relaxed in the tatami room. 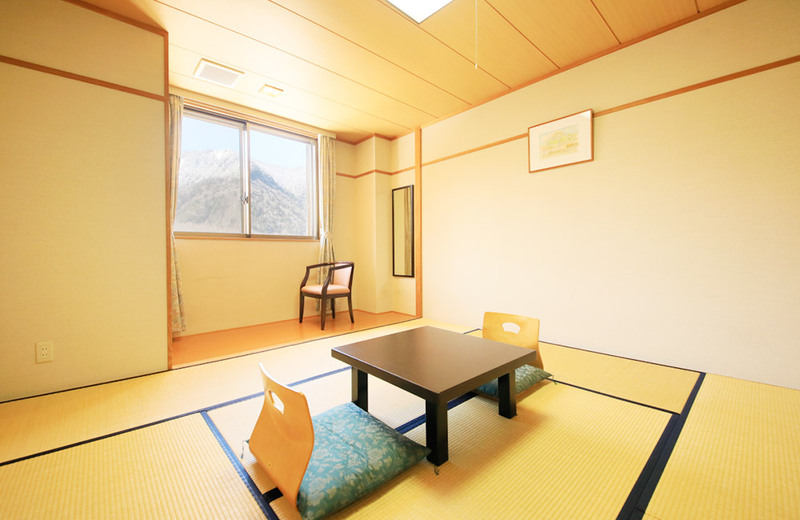 Please note that 8 tatami mats are relatively small and it may feel very tight with 4 people. 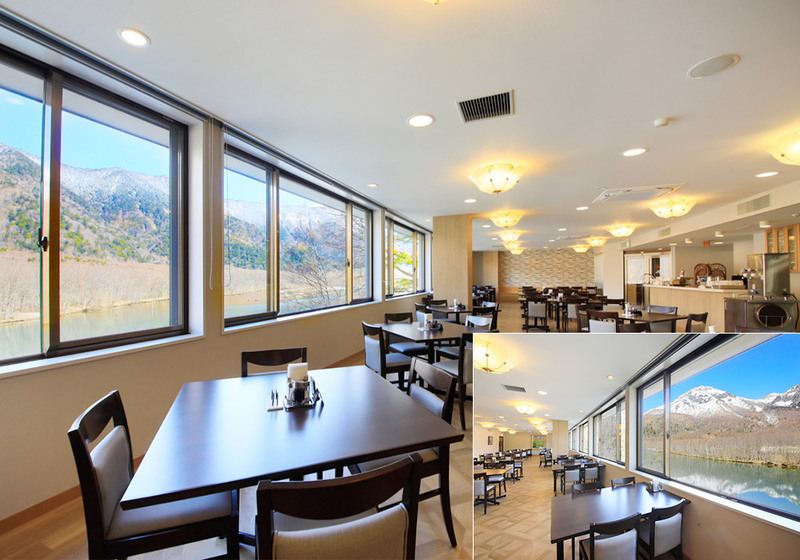 Restaurant "Lake View", where you can observe Taisho Pond and Mt.Yakedake at your leisure while having a meal. In the daytime, walk-in guests can also use it as a general cafeteria. 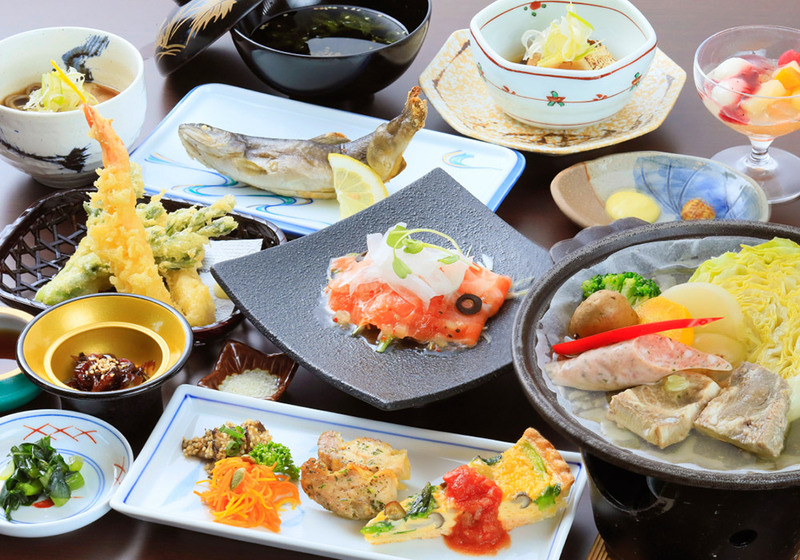 It offers light meals such as noodles, various drinks and cakes and a lunch menu including set meals and Taisyoike Hotel specialty Hayashi rice. There is also a pre-reserved menu for group customers so please contact us from the designated form if you wish. Menus for groups are lunch only. 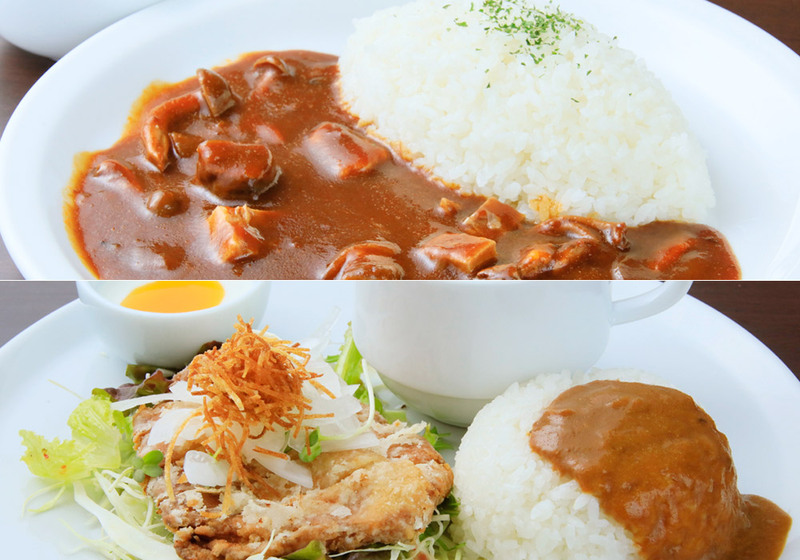 ※Please contact us in advance if you have any food restrictions or allergies. 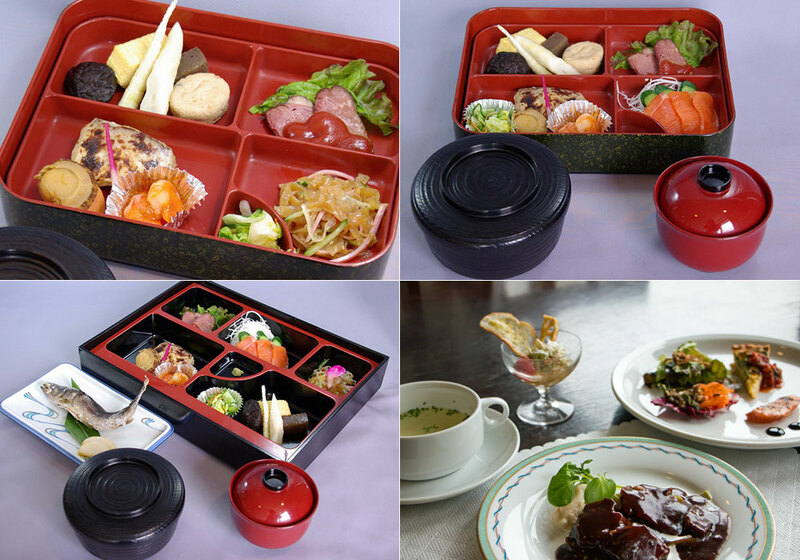 ※Menus for groups are lunch only. Restaurant and communal bathrooms renovated in March 2019! 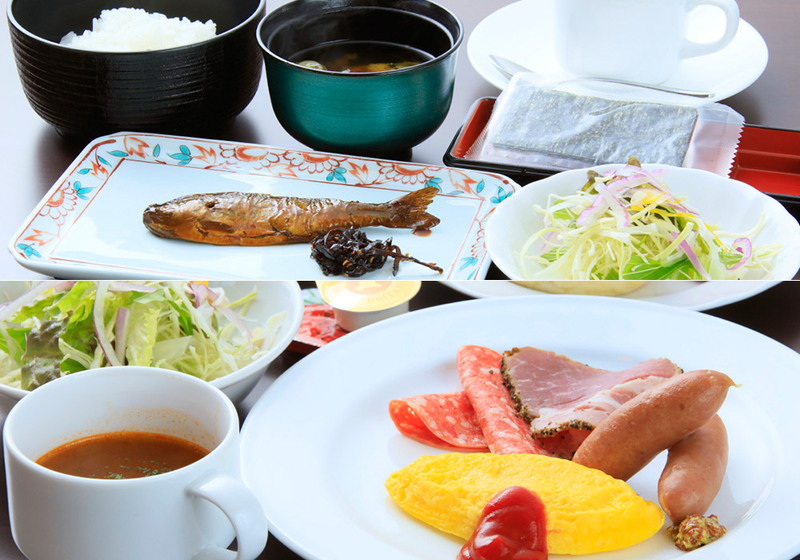 Taisyoike Hotel, with its big feature of being surrounded by rich nature, strives to be a facility where guests can spend their leisure time away from the hustling and bustling of everyday life. Please note that since there is a step at the entrances to the bathroom and the toilet in the room, you are required to step over it. There are 6 to 7 stairs at the entrance of both male and female bathrooms. There are no steps in the restaurant. 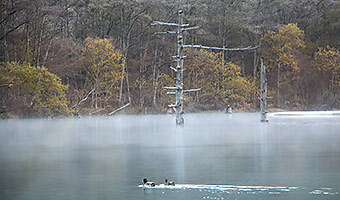 Information about the tourist spots and nature tours around Taisho Pond. 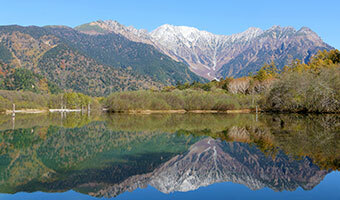 Taisho Pond reflects a magnificent view of Mt. Hodaka on the beautiful water surface like a mirror. The deadly trees look visionary and draw much media attention as one of the representative landscapes of Kamikochi. 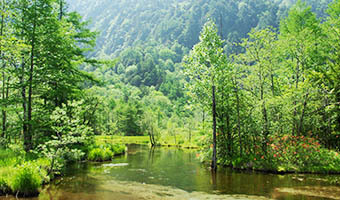 In the primeval forest, a shallow pond in the marshland spreads over a meadow. There are several islands in the pond and the views are as bright and calm as paddy fields. Kappa Bridge is about Kamikochi and vice versa. Kappa Bridge is located in central Kamikochi and regarded as a symbol of the area, and is a five-minute walk from Kamikochi Bus Terminal. 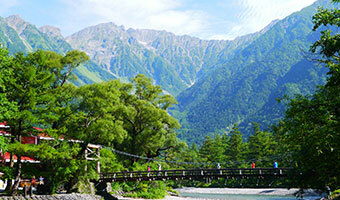 Since Kamikochi is a national park, there are no street lamps. When it gets dark, there will be no light around Taisｙo Pond except for the hotel. On a clear day there is the starry sky all around above you. Would you like to take photos of the starry sky? 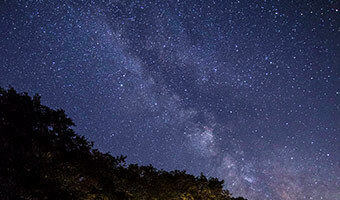 The “Starry sky photo challenge” will be held. Why not try to take photos while enjoying stargazing? A nature guide will take you to Kappa Bridge from Taisho Pond. Please consider exploring this new discovery when you get off the bus at the Taisho Pond Bus Stop. Please note that private and rental cars are prohibited from entering in Kamikochi according to local regulations. All of the roads in Kamikochi are closed during the nighttime. 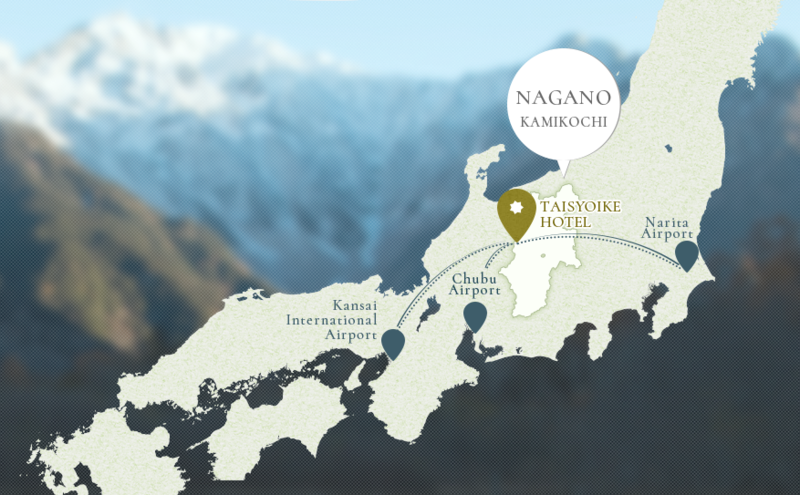 Please make sure to arrive in Kamikochi by 5 p.m. at the latest. From Tokyo to Kamikochi approx. 4 hr. 20 min. Chop Expwy and Nagano Expwy approx. 3 hr. Rte. 158 approx. 50 min. 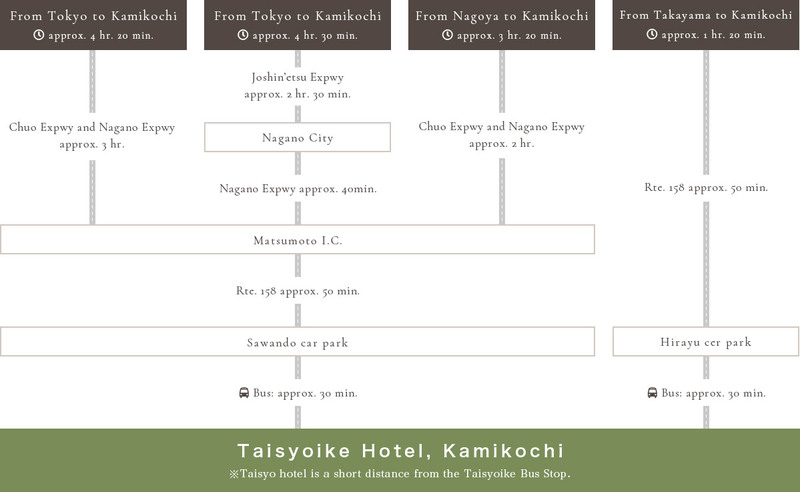 ※Taisyo hotel is a short distance from the Taisyoike Bus Stop. From Tokyo to Kamikochi approx. 4hr. 30 min. Joshin'etsu Expwy approx. 2 hr. 30 min. Nagano Expwy approx. 40 min. From Nagoya to Kamikochi approx. 3 hr. 20 min. Chuo Expwy and Nagno Expwy approx. 2 hr. From Takayama to Kamikoshi approx. 1 hr. 20 min. Private and rental cars are prohibited from entering in Kamikochi throughout the year. Please use the bus or a taxi from Sawando parking lot or Hirayu parking lot. Parking fee for the Sawando and Hirayu parking lot is 600 yen per day. The last bus from the parking lots departs around 5:00 p.m. The bus for Kamikochi from Sawando or Hirayu parking lots departs about every 20~30 minutes. The roundtrip ticket is 2,000 yen per person. Matsumoto Sta. approx. 1 hr. 30 min. Matsumoto Dentetsu Railways' Kamikochi Line: approx. 30 min. Takayama Sta. approx. 1 hr. 30 min. A train runs between Matsumoto station to Shin-Shimashima station. You are required to take a bus from Shin-Shimashima station. The last bus for Kamikochi from Shin-Shimashima station departs around at 4:45 p.m so please depart from Matsumoto station by 4:00 p.m.
You can take a bus any time you like. A bus departs every 20 minutes during the day. You can take a bus almost any time in the morning (there is no fixed time table but it runs about every 30 minutes). 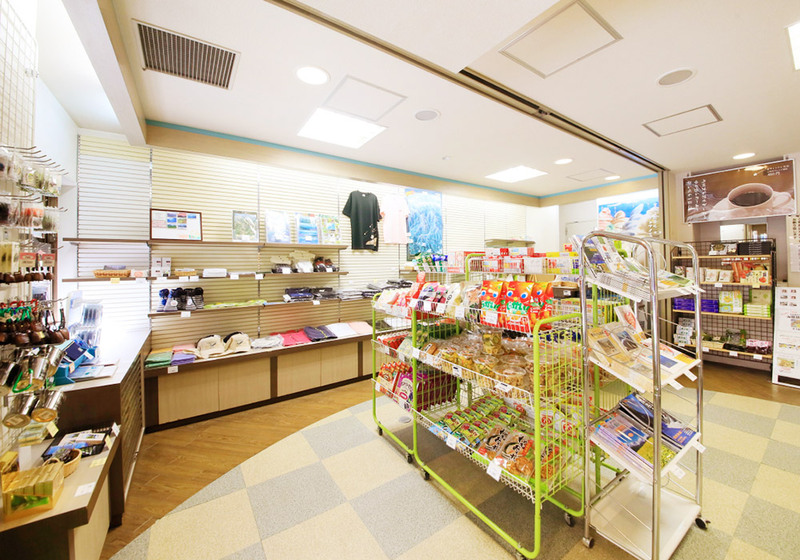 However, during busy periods such as "Golden Week" and the summer holiday, it will be difficult to board at from Taisyoike Bus Stop around after noon, so that it is highly recommended to get on the bus from Kamikochi Bus Terminal, the starting bus stop. It is not difficult to take early buses around 8 a.m. but please take a bus from the starting bus stop Kamikochi Bus Terminal if you wish to board after 9 a.m. You can take a bus throughout the day during less busy periods. Numbered tickets are required for "Shin Shimashima" and "Shirahone hot spring / Norikura highlands"-bound lines. They are not required for “Sawando Parking Lot” and “Hirayu Onsen”-bound lines. Numbered tickets are to fix the boarding time, not to reserve seats. They start checking your tickets 10 minutes prior to the departure time and you will be required to board in the order of the number displayed on the tickets. In the case of no-show or boarding on the route, the numbered ticket will become invalid, so please be sure to board from the Kamikochi Bus Terminal. Numbered tickets are issued one day prior to useat the Kamikochi Bus Terminal ticket booth.